We are all aware of the sudden wave of artificial intelligence and machine learning that is redefining healthcare goals for the future. We have been asking several questions on population health. How will population health look like in the next five years? Will health data impact the overall disease research? How can we get there? Healthcare in the U.S. is complex. What’s more to it is that the level of complexity is increasing as PHM is transforming the traditional hospital-focused approach into the modern care. It also needs to deliver more efficient outcomes using fewer resources. This is not an easy job in an acute care-oriented industry. So, in this evolving environment, how can an organization trigger quality improvements and cost reductions? Population Health Management concludes the aggregation of patient health data derived from multiple resources- physician office, hospital, clinical, and modern care tools, analyzing that data into actionable insight, and making informed health decisions that achieve both clinical and financial outcomes. A conventional approach applied in PHM is a closed-loop process that brings together large data from various disparate sources, examine, and updates care decisions, analyze outcomes, and create new health goals. 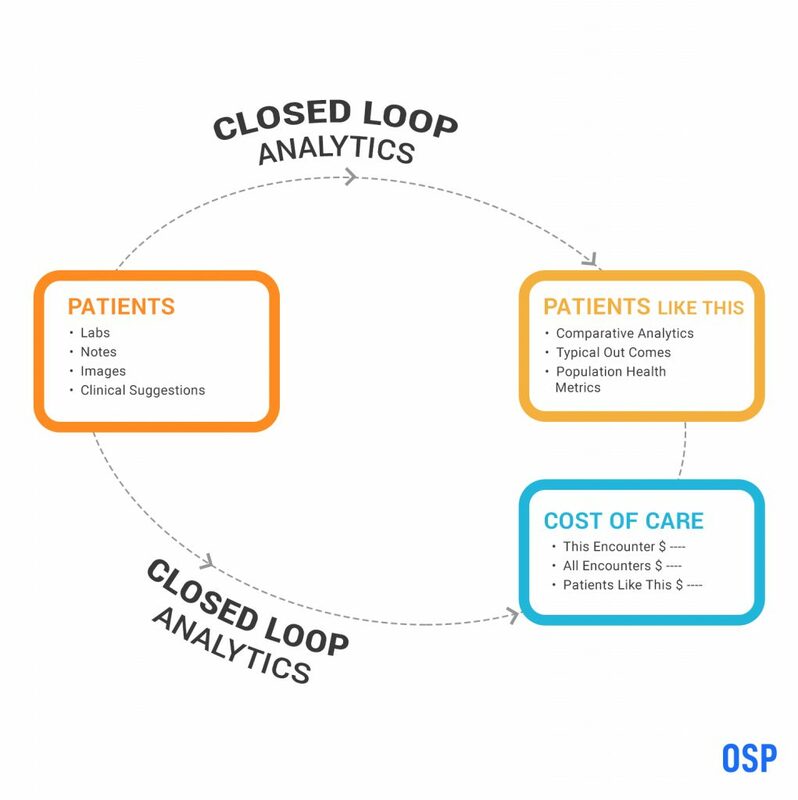 However, closed-loop analytics in healthcare has been complicated. Population health management demands accurate data and integrated view of workflow systems- EHR, Clinical Reports, Practice Management, and Care Support. These systems are made with legacy frameworks which are challenging to interoperate with. The current analytic approaches have significant breakpoints and limitations, that restricts transparency across the patient’s complete health journey. Applying new algorithms, seeing the big picture, discovering insights and consistent deployment across organization-these are some of the core benefits of AI-driven solutions. The one area AI will create a huge impact is population health management. Artificial Intelligence can derive actionable insights from the (mostly untapped) complex datasets essential for population health programs. It foresees unseen patterns, reveals new predictions, and analyze trends better than traditional health tools. –Harpreet Singh Buttar, Frost & Sullivan. Before we apply AI to address population health challenges, it is essential to understand abilities to uncover hidden patterns that traditional analytics miss. Discovery: AI uses the EMR records, patient-generated data, financial data, and socio-economic data to detect patterns and discover a group of patients who share similar health characteristics. Prediction: Analyze data from clinical and non-clinical, hospital and health system to predict the future of the patient’s health with better accuracy. Justification: To answer all the “whys” of each health discoveries, predictions, and actions that build a treatment history of individuals or group of patients. Action: Actionable insights that augment human decision-making impacting population engagement, dietary habits, and public health programs. Learning: Learn to improve predictions as AI analyze more and more complex datasets focused on accurate health interventions and patient engagements. How will AI upgrade patient monitoring? According to a Yale-led study, 1 in 5 Medicare patients is likely to return to the hospital within 30 days of discharge. About 14 to 27 percent of all emergency room visits are for non-urgent symptoms—meaning that they could have been detected or treated with a routine doctor visit. Many of these emergency visits could have been avoided if patients and providers shared timely information. Telehealth has been trying hard to solve this challenge. Efficiently tracking vital symptoms and other biomarkers, it is easy to eliminate unnecessary hospital readmissions and emergency visits. But the roadblocks such as legacy systems, interoperability incompatibilities, privacy requirements, security challenges hinder patient management. They need to be equipped with AI that makes telehealth a successful option. Improving readmissions rates, shortening hospital stays, improving health interventions, and flagging patients at risk are some of the issues AI is currently addressing. Today, hospitals are discharging patients not just with a bag of tablets but with technology. Healthcare organizations are using machine learning to implement a patient-monitoring program. Upon discharge, heart failure or diabetes patients are provided with a tablet computer to transmit their health information to the hospitals. The device timely monitors blood pressure, oxygen and weight levels, and the patient’s symptoms of the disease while staying at home. This data will further predict patient’s health before he ends up in the emergency room so that provider can intervene during the routine visit or by phone. AI will transform patient-provider relationships. AI won’t replace doctors but will enable them to take priority decision. Patients take charge of their health, self-care and lifestyle choices. 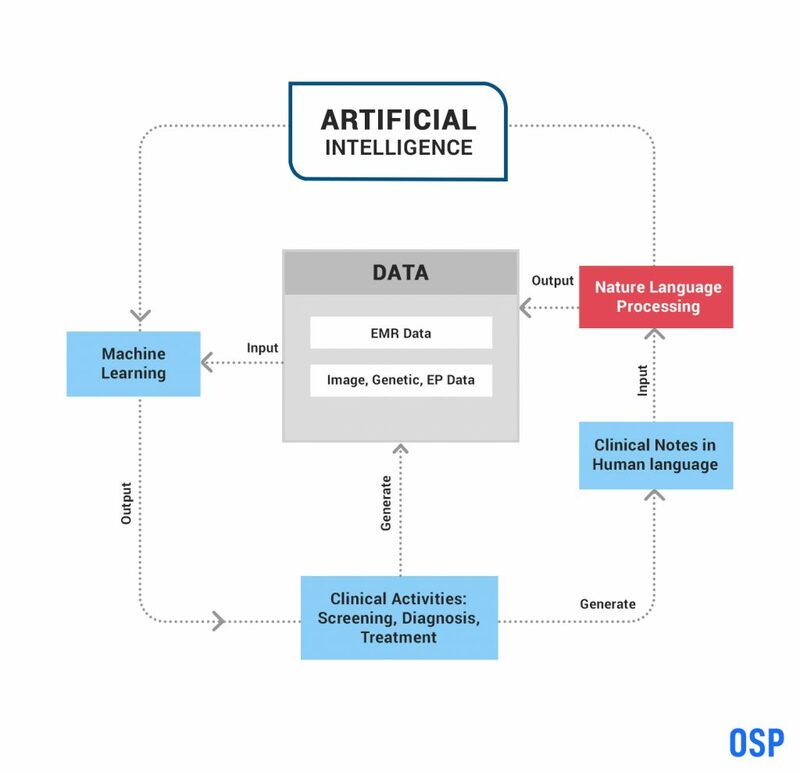 Interactive AI understands the conversational text, synthesizes information learned, to counsel patients via phone text. AI alerts patients of specific environmental conditions that may cause asthma and high pollen counts. Using speech-to-text technology to help patients get a live answer to routine checkup questions. AI wearables use biometric devices and mobile devices integrated with patient history provides recommendations and reminders to diabetic or heart patients to eat right and take meds. How will AI benefit public health programs? According to CDC, approximately 2.6 million people die annually in the United States and about one-third of these deaths can be averted with population health programs. The death related to cancer, diabetes, heart and respiratory disease and stroke have decreased tremendously due to aggressive public health awareness programs. Convincing population to stop smoking through cessation campaign cost $48 million. The broad reach of the campaign makes it an expensive affair. Artificial intelligence and machine learning can help pinpoint specific demographics or regions where health issues exist and target them precisely with education and treatment programs. AI help health experts with elaborate, real-time data review and identify the population at risk of diseases. One of the sectors in healthcare that can benefit from AI is an opioid addiction. Opioid addiction killed more than 42,000 people in the United States which is why drug overdoses are considered an epidemic. Every day, 115 people in the nation die after a drug overdose. With such an alarming number, AI can help identify the county, states, and region that experience primary drug abuse and misuse. Public education program can be better targeted to that specific area with higher overdose rates. In 2016, approximately 1,500 people died of opioid addiction in Indiana. To curb this issue, the Indiana Management Performance Hub has created hc1 Opioid Dashboard using AI and machine learning to gain real-time insights into opioid usage trends across the state. The dashboard collects billions of anonymous lab test results from government testing databases, diagnostic labs, and patient medical history. It organizes and analyzes data to identify drug positivity level to the zip code level. Redirects health campaigns to affected location. This allows the government to implement health programs directed to places where they are needed most before a crisis explodes. Indiana officials in the process identified key factors contributing to the issue include- physicians over-prescribing, abusers seeking mental help, illicit dealing, and availability of drugs. Prescription drug monitoring program backed by AI has helped in reducing unnecessary prescribing based on medical history to tackle the widespread drug epidemic. How will AI reduce the burdens of EHR use? Electronic Health Record is a goldmine of patient health data but extracting and accurately analyzing this data has been a significant hurdle in population health management. This wealth of information comes with the mishmash of data formats, incomplete details, structured and unstructured records which make it difficult for experts to integrate clinical decision and predictive mechanisms for providers. Much of the EHR analytic tools deliver disease prediction such as stroke or depression, but when you do a little research, you find that the tool is predicting a billing code associated with the disease. The correlation between EHR and predictive analytics ends there. It’s time for the organization to employ AI’s deep learning technique to improve prediction challenges and identify connections between unrelated datasets. The task begins with uniform clinical documentation at an entry-level. Voice-recognition and Natural Language Processing are helping to improve manual clinical documentation workload. Artificial Intelligence will help process routine clinical encounters, medication refills, and lab result notifications. Gain significant insights to make instant prescriptions or recommendations. Obtain notifications to consider while suggesting treatment or medication. For example, if a patient is uncomfortable with some drug based on the genetic profile, the AI and ML will recommend a more suitable drug. The famous EHR vendor, Allscripts, have allied with Microsoft to come up with Avenel, a creative AI-enabled, and cloud-based EHR. This mobile-first EHR shall use machine learning to make clinical documentation faster. With navigation via swipes and taps, writing notes would be genuinely efficient for the clinicians. eClinicalWorks is deploying a new EHR that will have different panels for voice interactions, decision support induced by machine learning, and telemedicine. Hype to Reality: How AI can help your healthcare business? Whether you’re dealing with billing codes or developing new drug therapy, Artificial Intelligence is creating an impact in every corner of the healthcare industry. By surfacing new patterns, AI can help your business design health interventions and health programs to engage patient sub-populations. A holistic understanding of the patient health from disparate datasets will help create new clinical pathways targeted at specific demographics. The current limitations of PHM environment can be cured by advancements in artificial intelligence that will allow providers to manage the health of larger populations and improve health one patient at a time.